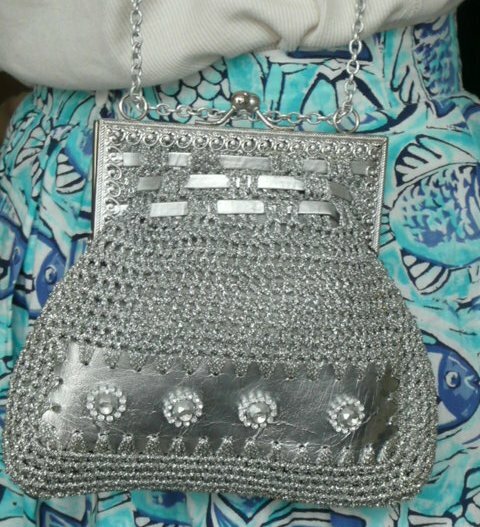 Vintage 70s silver crochet evening bag. Sweet little silver bag (so much harder to come by than gold, for some reason! ), mainly crochetted but with a mock leather panel presenting four brilliants. The front and back are the same. 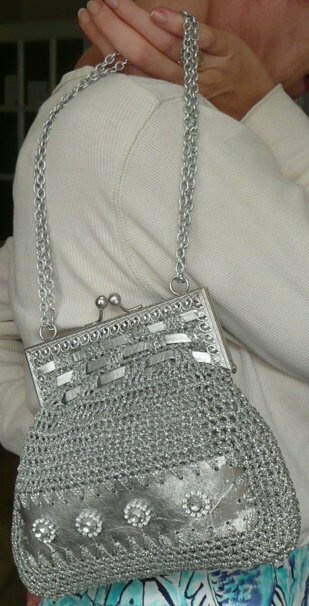 It has a long chain, which can be used double (as a handbag) or single (over the shoulder). It is lined with a heavy satin or silk fabric which is lightly stained; otherwise, as far as I can see, it is in perfect condition. 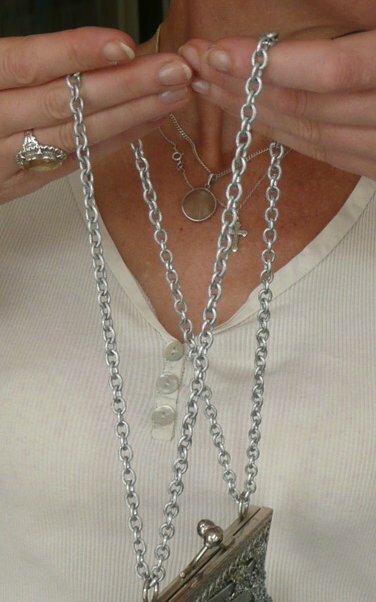 No labels or internal pockets, it measures approximately 7 x 8½ inches (17.5 x 21 cms) at its widest point; at its longest, the chain measures about 35 inches (88.5 cms).